Upon arrival in Tokyo, we’ll head to our hotel and get settled in. In the evening, you can choose to shop, rest, or join your guide for an optional trip to the picturesque observation deck of Tokyo Tower! After a breakfast stop where we’ll have the chance to socialize and meet one another, we’ll begin our day at the Ghibli Museum, where you can explore the history of the iconic studio’s masterworks, see exclusive anime shorts, and even meet a giant robot! Then, it’s off to the mecca of all things Anime, Akihabara! Join the guides for shopping or go on your own – it’s up to you. You’ll also have the chance to join us for a visit to our favorite Maid Café for dessert! We begin the day on the futuristic Hotaluna ferry boat, designed by anime legend Leiji Matsumoto, for a gorgeous ride across the bay to Odaiba! 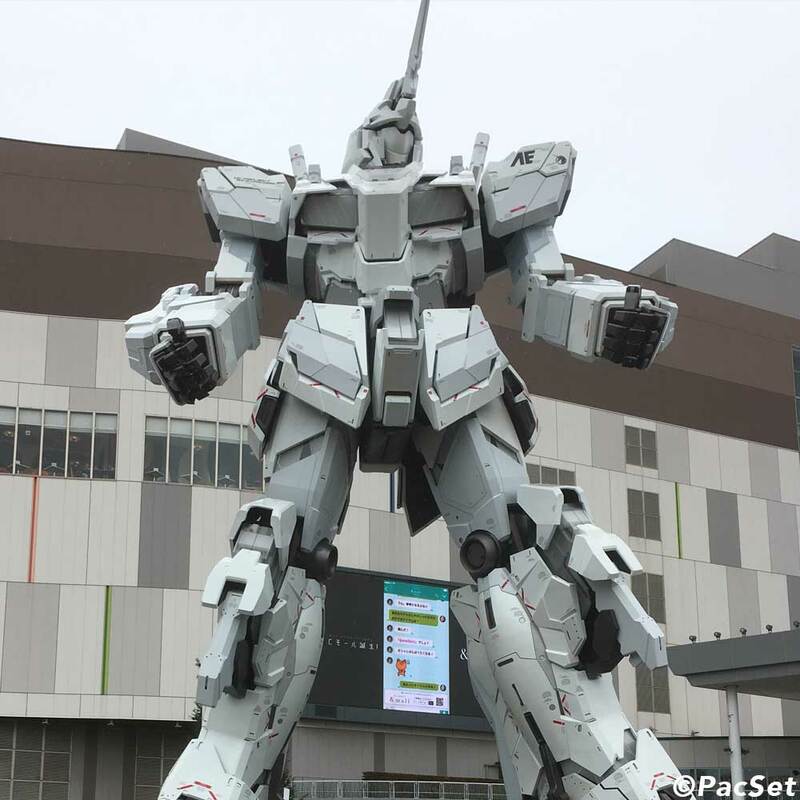 When we get there, you’ll have the chance to see the life-sized Gundam robot and Gundam-themed store, Gundam Front. You’ll also have the chance to explore Sega Joypolis, where you can play the latest arcade marvels, or poke around cute character goods shops for adorable (and potentially massive) plush toys! 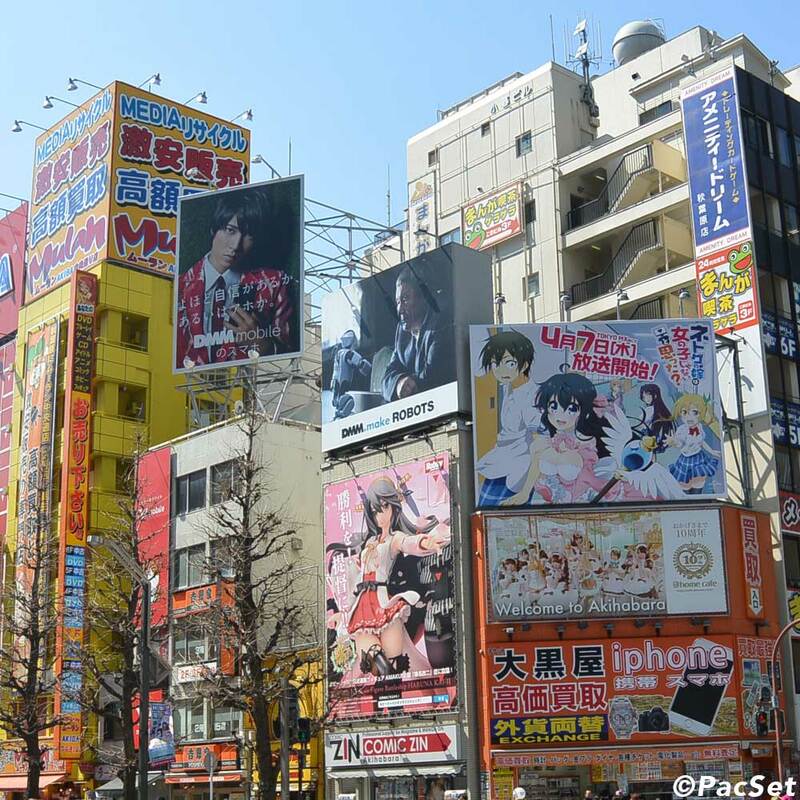 The journey continues as we make our way to Ikebukuro, where you can visit exclusive shops for anime series like Free!, Evangelion, Pokemon and more. If that’s not your thing, worry not: you can also chill at a local cat cafe, browse the fangirl-centric Otome Road (hi ladies! ), or sample fancy desserts at countless cake shops near the station. Today is the first of two free days on the tour! You can do your own thing, or you can join your guides for one of two optional excursions. The first: a seaside lunch followed by a trip to Mt. Nokogiri, a mountaintop temple where a giant buddha, thousands of stone carvings, and thrilling views are bound to leave an impression! The second: a visit to Tokyo Disney Sea, a Disney amusement park with numerous Japan-only attractions and a design that has earned the park accolades from Disney fans all over the world. We begin our day at Meiji Jingu Shrine, Tokyo’s iconic forest shrine dedicated to the Meiji Emperor. After making wishes and taking in the sights, we’ll head to Harajuku, Tokyo’s new center of all that is hip. Shop for kitschy souvenirs, fashions, or just wander the aisles of one of Japan’s largest “100 Yen” stores searching for fun stuff to bring home. Then we head to Shibuya, where music stores and street art create one of Japan’s most vibrant urban collages. If all this urban exploring has you feeling like a change of scene, join us for a special multi-course Tempura dinner cruise on Tokyo Bay, complete with bottomless drinks and spectacular views of the budding cherry blossoms from the Sumida River. Yup, it’s another free day for you to explore Tokyo! Your guides will be on hand the night before to help you plan your day out on the town. No Anime trip in this season would be complete without a visit to Anime Japan (formerly Tokyo International Anime Fair) – and that’s where we’re headed today. We’ll check out all the up-and-coming anime on the AnimeJapan show floor as we browse the exhibits. After seeing what’s next in Anime, we’ll step back into the past through a visit to Nakano Broadway! Here you can check out hundreds of thousands of new and used figures, manga, and more as you shop the “rental cases” and shops spread over four awe-inspiring floors. In the evening, we’ll gather for the 8th Annual Animated Spring dinner to socialize, laugh, and eat lots of good food (included!). Guests on our basic trip: this is where we bid you farewell. ;_; Extra days in Tokyo can be arranged by request. For those on the full trip, the adventure continues as we hop on the Shinkansen and are off to Osaka! After dropping our bags, we’ll proceed to Osaka Castle, a recreation of the famous castle involved in one of the biggest battles at the end of Japan’s warring states period. After exploring inside and outside the castle walls and numerous moats, we swing through Namba, the popular Osaka neighborhood that is home to one of the world’s largest shopping arcades, neon-lined rivers, and the Kansai area’s biggest Otaku Road. We’re all about Japan’s old capitol city today! Board a private charter at Kyoto Station as we whisk you across the city to the famous golden pavilion, Kinkakuji. From there, we travel to Kiyomizu Temple to take in beautiful views and sample the flavors of the city. Next up is Nanzenji, where we’ll enjoy a tea ceremony and the picturesque grounds. Take part in an optional dinner at a Ninja-themed café before we head to Nijo Castle for a special seasonal treat: the yearly illumination of the cherry blossoms on the castle grounds. The picturesque shrine gates of the fox-themed Fushimi Inari Shrine are today’s starting point, and trust us, you won’t want to miss exploring the legendary shrine tunnels at this PacSet favorite. From here, we’ll return to Umeda – Osaka’s hip, busy north side – where you can ride a rooftop Ferris Wheel, explore massive underground shopping streets, or just relax for a bit. In the evening, join us for a true seasonal tradition: a picnic under the cherry blossoms! Today begins with a trip to Arima Onsen, one of Japan’s oldest hot spring towns. Explore back alleys and old shops and – if you don’t have any huge tattoos – experience the baths for yourself! Then, we will wind our way out of the mountains to Sannomiya, Kobe’s bustling market area where you’ll be able to finish any last minute shopping (or just take a break in one of the area’s famous cafes). If you like, join us for a visit to the city’s beautiful waterfront, where you can eat Pudding Ice Cream (it’s awesome, trust us) and take in the beautiful bayfront views!